There are times when dentists are unable to accommodate patients, whether because their schedules are full or because the dental clinic is closed for the day. Whatever the case may be, Emergency Dental 365 provides emergency dental care and same-day services when your regular dental clinic is unable to. In dental emergencies, time is often of the essence. Don’t hesitate to call us when you are in need. 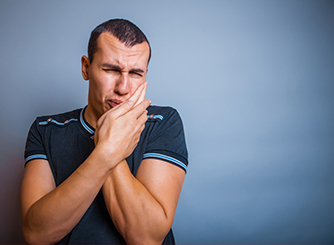 Regardless of your dental emergency, whether you have been suffering from a toothache all day or you have knocked out a tooth, Emergency Dental 365 is North York’s most trusted source for emergency dental care. Our North York residents entrust us to provide quality and reliable emergency dental services. We know that residents from fast-growing North York need dental care that will allow them to return their lives as quickly as possible, which is exactly why they choose us. North York residents lead busy lives and they need efficient, seamless dental care to match. If you need emergency dental care, simply give us a call and we will fit in our North York residents right away. All we require is that you fill out this emergency dental medical history form either at home or once you arrive at our office. Once your treatment is complete, we will send you home with a report to give your regular dentist, along with any insurance forms. In short, expect nothing short of efficient and seamless dental services. We offer our services 7 days a week, from 6AM to 10PM. Emergency Dental 365 is home to a varied team of dental professionals, which makes us well-equipped to handle any dental emergency, including: toothaches/pain, broken teeth, lost fillings, broken dentures, recementation of crowns or bridges, extractions, abscess, emergency root canals, knocked out teeth or orthodontic emergency care. Emergency Dental 365 dental professionals are committed to providing outstanding dental care from beginning to end. We are well equipped to handle any emergency with precision and ease. We provide attentive care to each and every patient, and take time to answer questions and to discuss your options with you so you can feel confident when it comes time to receive your treatment. You are in good hands. At Emergency Dental 365, we understand that our patients have different comfort levels. Our office is modern and designed with your comfort in mind. Combined with warm and caring staff, we are confident you will be at ease in our clinic. If you are a North York resident and are in need of emergency dental care, call us now at (416)-510-2253. We can find us at 300 York Mills Road #2b. We are located on the corner where York Mills Road meets Bayview Avenue.